It is undeniable that the presence of the Jeep Grand Cherokee gives a wider choice for the world's of premium SUVs lovers. If the previous option in this class Europeans struggling in the brand, the Jeep Grand Cherokee offers the offroader thicker roots. Moreover, the latest display SUVs imported from the United States is also more handsome. On the exterior, the Grand Cherokee 2014 gets a touch with the changes in technology Bixenon headlights, and also the Daytime Running Light (DRL) is unique. Larger taillights, complete with LED technology. On the inside, 8.4 inch screen, which features Uconnect dominates the mid of dashboard. entertainment than as a player, the screen can also be connected to a mobile phone to make phone calls with voice commands, voice recognition cloudbased. audio system equipped Grand Cherokee Summit 19 Harman kardon speakers to treat the ear. 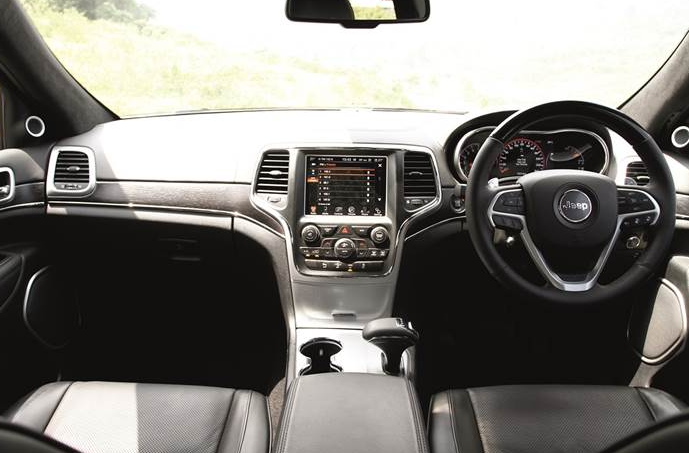 At Grand Cherokee seats have leather-clad summit Naturaplus, complete with ventilated seats and a black wood trim that makes it look luxurious. This variant also features suede lining that covers the pillars and ceiling, as well as the Command View dualpane sunroof. Under the hood sits a 3.6-liter V6 Pentastar engine that ejects power DOHC 290 hp and 351 Nm of torque. as a successor power to all four wheels, automatic transmission Jeep pinning latest 8speed which is claimed to give better fuel efficiency. Being behind the wheel, driving position feels very high, partly because of the height of the mo b il under normal conditions (normal ride height) reached 217 mm. This causes driving the Grand Cherokee in the middle of the traffic density was superior. Gas pedal feels solid, although arguably not light, but it evokes good response to accelerate. When entering a freeway, driving feels so precision. At speeds above 85 kph, the Quadra-Lift air suspension automatically lowers the vehicle height of 15 mm from the normal condition in order to create value aerodynamics for better car control. The height of the so-called aero mode also helps to streamline the use of fuel. One of the safety features on the Grand Cherokee that you should try when driving on the freeway is the Adaptive Cruise Control (ACC). Enable ACC via a button on the steering wheel right, and set the desired speed to roam. ACC will automatically maintain a safe distance with the car in front, according to the specified speed. This makes the driver did not have to step on the gas pedal and the brake. because when the car in front slows down or there is a car that cut lanes in front of him, it will automatically feature will intervene Forward Collision Warning and Brake warns the driver to step on the brake if needed. This feature increases the awareness of safe distance to the car in front. 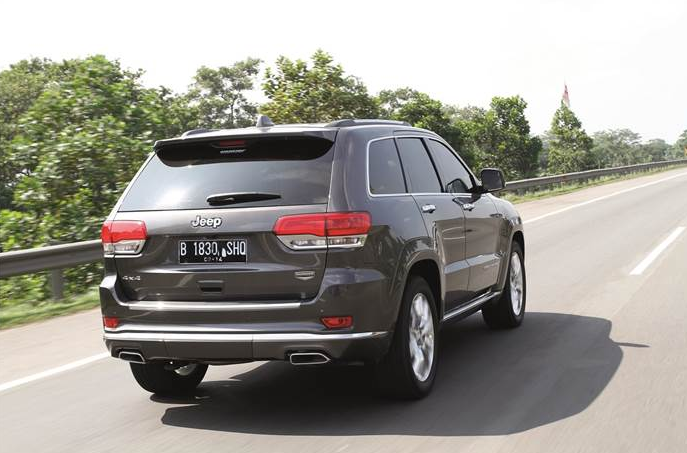 Control of the Grand Cherokee is also very precise, maneuvering lanes move at high speed very steady. However, vibration and noise disturbing echoes when the car hit a hole or Rumble strip. 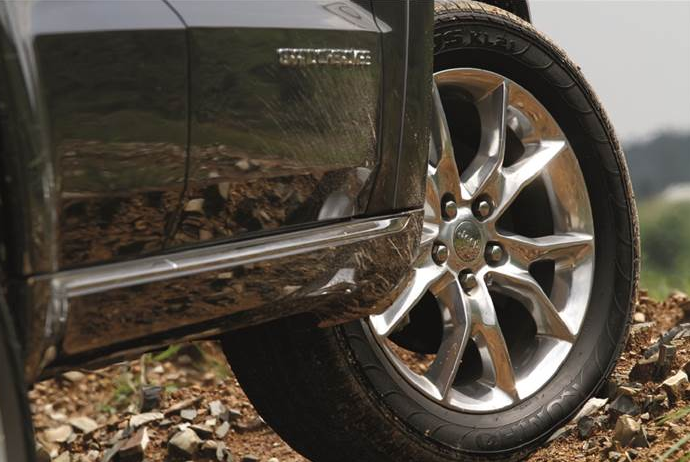 We suspect this is due to the use of 20-inch alloy wheels with a thin-profile tires that come standard Grand Cherokee Summit. 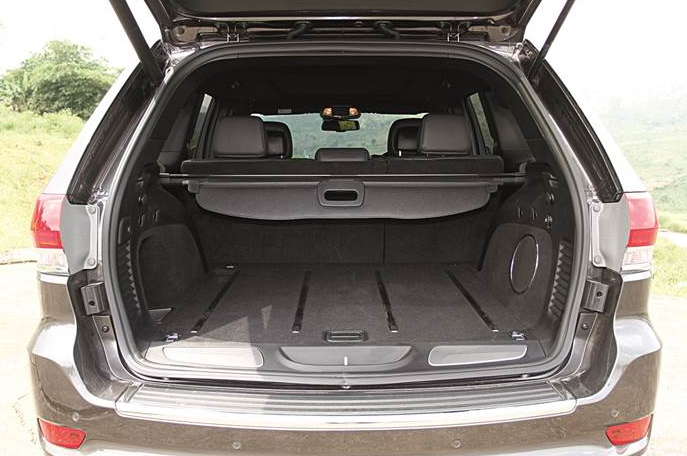 To bulldoze off-road terrain, the Grand Cherokee 2014 has been equipped with three 4x4 wheel drive feature that QuadraTrac I, II QuadraTrac, QuadraDrive II, coupled with the Quadra Lift air suspension and traction selecTerrain management system with five modes are auto, sand, Mud, snow, and Rock. The features automatically adjust to the terrain needs to be bypassed. height of the car can even be increased up to 282.5 mm from ground level. One thing that can not be avoided when driving is the fuel consumption is quite wasteful. With the Eco mode is active all the time though, the average fuel consumption that was recorded in the most-efficient Multi Information Display only reached 8.7 kpl. While testing along with terrain and traffic combination, achieving an average fuel consumption of 7.6 MPA. 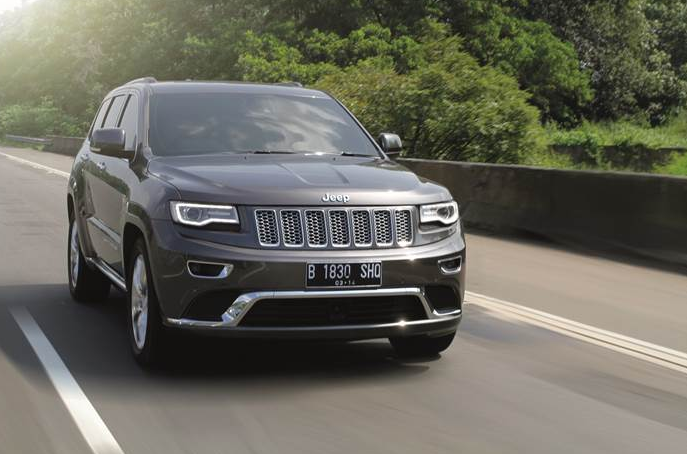 Jeep Grand Cherokee itself has a diesel variant. In the US. With the characteristics of a diesel engine, should these variants may be another alternative for generating driving fun. This car also has the potential to threaten the sales of the BMW X5 and Land Rover Discovery 2014 currently available.